Get the guy who wrote one of the important books in Maryland workers’ compensation! Workers’ Comp Attorney Byron B. Warnken is the author of the Comp Pinkbook, a resource guide for Maryland workers’ compensation. More than 250,000 comp claims were analyzed statistically to find 1.5 years worth of comp awards. The book reveals the average values for more than 100 different injuries or injury combinations. It lists the most common comp injuries. 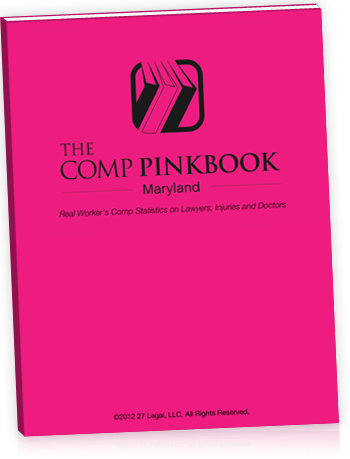 The Comp Pinkbook also examines the workers’ comp industry in Maryland in a way no other publication ever has. Lawyer performance – both claimants and defense – is examined. Also analyzed are the largest workers’ compensation insurers, the most commonly seen employers and doctors who treat patients in workers’ compensation cases in Maryland. Warnken credits the almost year long process of putting together the book on workers’ compensation to be one of the driving forces behind his knowledge of and expertise in workers’ compensation. The Comp Pinkbook is available for purchase on Amazon.com. 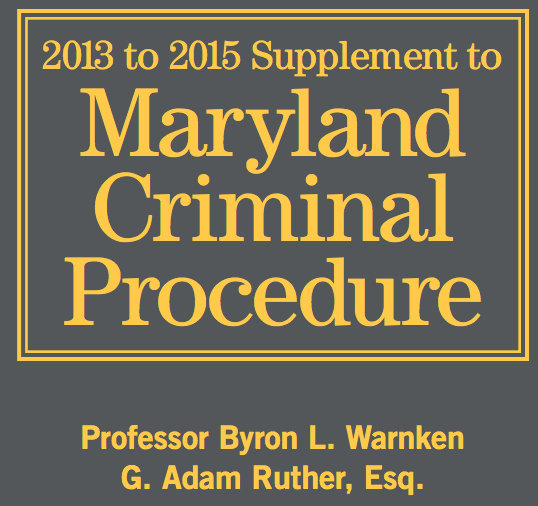 The more famous Warnken, firm founder and University of Baltimore Law Professor Byron L. Warnken, published one of the books on criminal law in Maryland. The book and subsequent supplements have received much praise on Amazon.com and elsewhere on the web. The Most Recent Cumulative Supplement Available Now on Amazon.com.